By chomping opponents arm their attack does -20 damage. 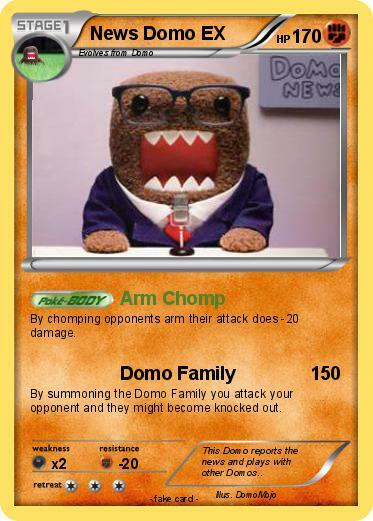 By summoning the Domo Family you attack your opponent and they might become knocked out. Comments : This Domo reports the news and plays with other Domos..